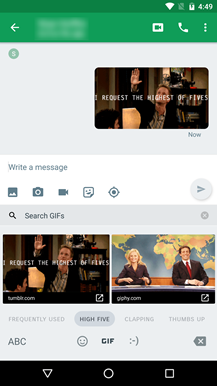 Keep in mind that the GIF keyboard feature only works if you're on Android 7.1, using a keyboard that supports it, and an app that supports it. All three must be true. 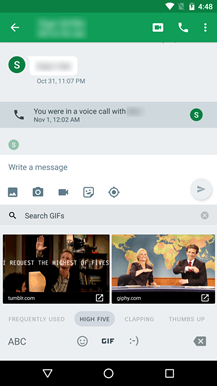 Pictured above is the latest version of Hangouts paired with the Google Keyboard. To get to the GIF keyboard, open the emoji panel and look for a button labeled "GIF" to the right of the spacebar. 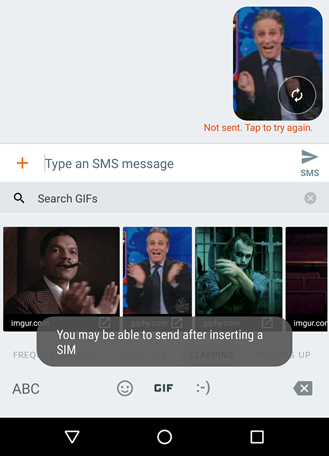 You can use the suggested phrases or search for your own to pull up appropriate animations. 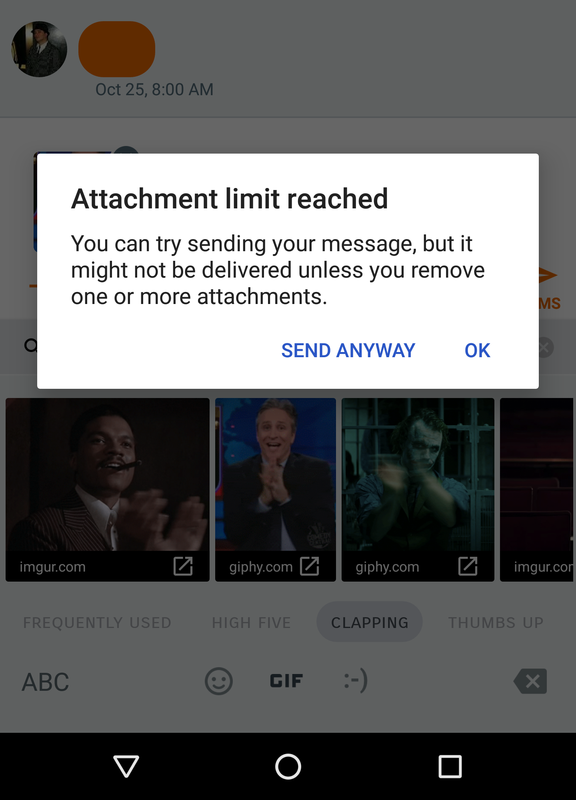 It's worth pointing out that GIFs can be sent over Hangouts and MMS, but it seems most of the images will exceed a very low size limit imposed by Google Voice (or Hangouts?). 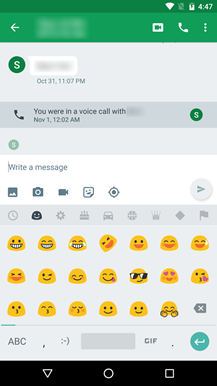 Note: Project Fi works fine, so it must not be imposing the same low limit. 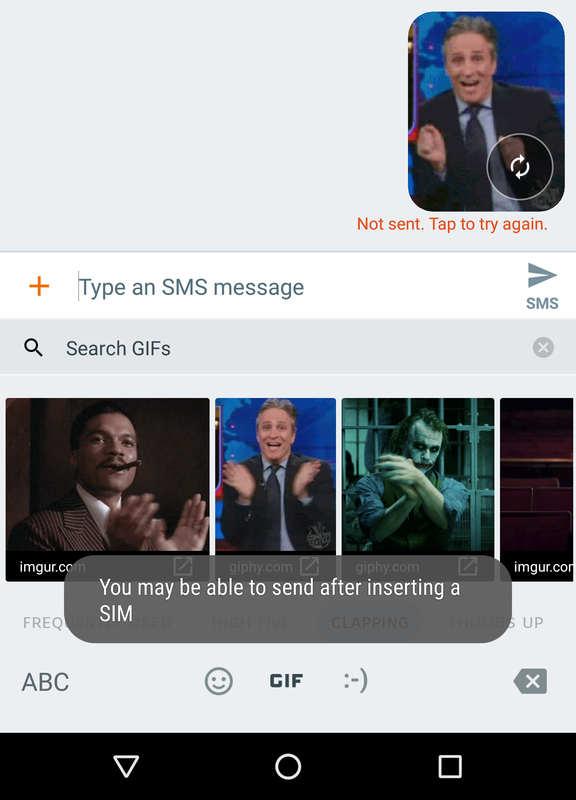 GIFs don't seem like the most business-oriented feature for an app that's supposed to be reoriented toward enterprise customers, but that's somewhat unsurprising after seeing a couple of versions basically dedicated to emotes. 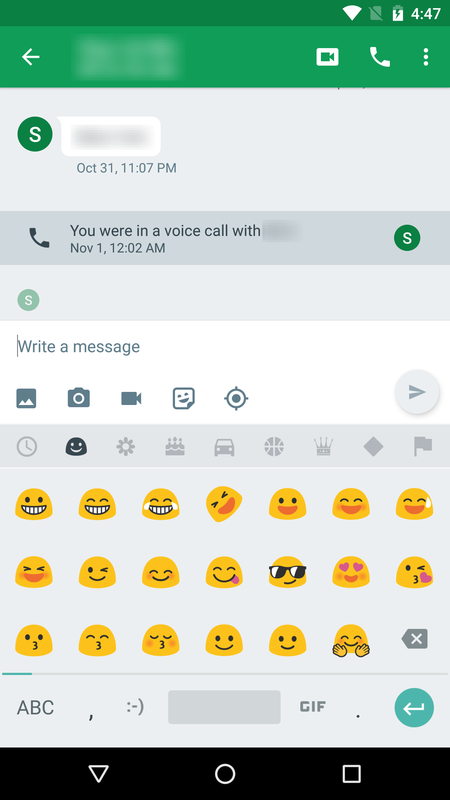 Perhaps Hangouts isn't giving up on regular users just yet. On the other hand, this update gives GIF keyboard support to the last of Google's primary chat apps (Hangouts, Messenger, and Allo). Maybe this update was done just to wrap up loose ends.